States, "Forward the following to Vice Admiral Farragut. 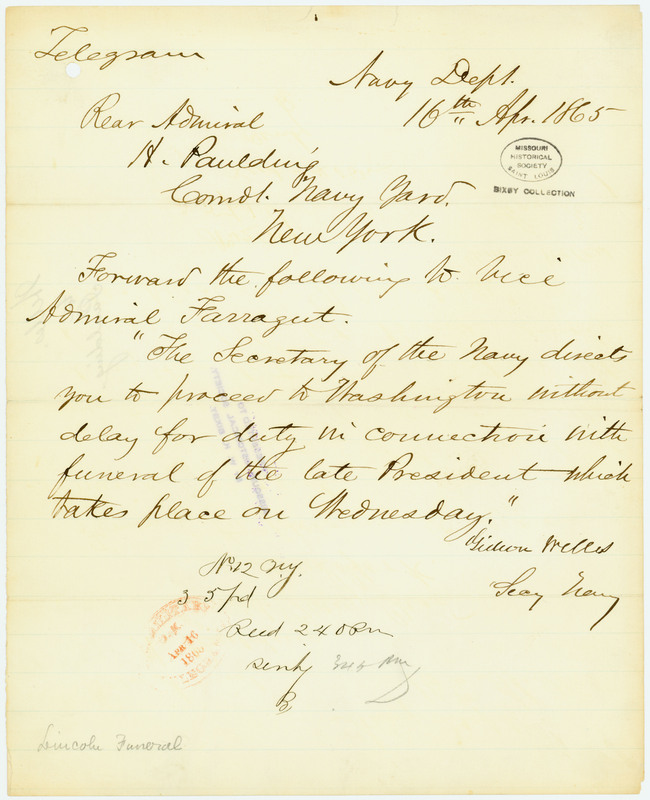 'The Secretary of the Navy directs you to proceed to Washington without delay for duty in connection with funeral of the late President which takes place on Wednesday. . . ."